What if you could effectively block out the sound of street traffic, noisy neighbours and the early morning garbage truck without having to pay for professional help? 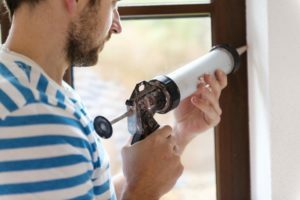 There are techniques you can use for soundproofing windows. Do it yourself (DIY) noise reduction strategies range from quick, temporary fixes to more complete DIY projects. What’s right for you depends on your acoustic goals, as well as the nature of the noise pollution problems you are dealing with. If you are wondering how to soundproof windows with “do-it-yourself” solutions, here are all the possible noise muffling hacks you can use. If your acoustic trouble is minor, and you don’t mind the aesthetic or functional sacrifices, low-cost DIY soundproof windows may work well for you. One of the ways sound enters into your home is through cracks and crevices around your windows, doors and walls. Cracks are often found around borders, like where your window and wall join together. Even with a noise reducing window treatment, you’re still going to have acoustic issues if your windows aren’t properly sealed. Look for a specific acoustical sealant. Conventional caulk will harden and eventually crack, where acoustical caulk is made to remain flexible and will last for years. Also known as a window plug, this is one of the cheapest options for “do-it-yourself” soundproofing for your windows. An acoustic foam mat can be attached to your window to help with noise control. 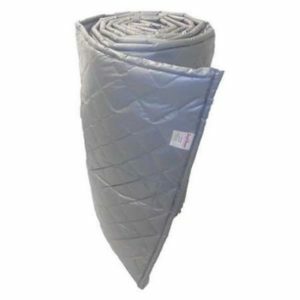 Foam soundproofing mats will dampen some sound waves but they will also block out light. The foam can be easily removed and then replaced again. 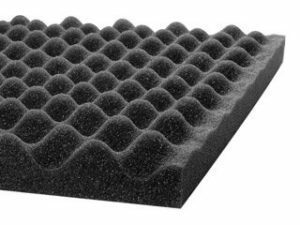 Foam is not a great option for home soundproofing. It likely won’t make a noticeable audible difference. Also, having a foam sheet covering your beautiful windows can negatively affect the aesthetics of your interior. You’ll have to keep applying and removing them in order to balance your noise level and light level. In special cases where every ounce of soundproofing counts, such as a home recording studio, the temporary loss of light may be worth it to get that small increase in outside noise reduction. 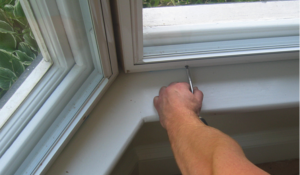 If you are an experienced do-it-yourselfer, you may have success with a DIY secondary glazing job. You can attach a piece of acrylic or glass over the inside of your existing window. In order to do this, you’ll have to install a metal frame on your existing window. Then, magnets are used to attach the acrylic sheet or glass. This is the most effective option for DIY soundproofing windows. But, before embarking on this type of project, keep in mind that without laminated glass or an acoustic grade glass, you won’t get a huge acoustic difference. Attaching an acrylic or glass sheet may be a practical option for minor noise problems but not for very loud, deep sounds. You will have trouble installing your glaze with traditional window types like double hung windows. Also, your windows won’t look the same, which can diminish your home’s charm – and resale value. If you are ready to pay for all the different components for this DIY method, you may be better off putting the money towards a retrofit double glazing system. Retrofitting is much less expensive than new double glazed windows at about one-third of the cost. Another option is to install storm windows on the outside of your home. Simply having another layer of glass will help to dampen the sound while also improving your windows’ insulating benefits. How effective your storm windows will be depends on the thickness of the glass you use, how well the frame is sealed and the amount of air trapped inside of the window. As with applying an internal acrylic or glass sheet, you want to ensure your DIY job is as close to professional as possible, with better quality materials yielding better results. As a simple soundproofing fix, a lot of people look for noise cancelling curtains, also known as thermal curtains, to help with acoustics as well as insulation. The problem with this option is these curtains will block the cold air between the window and the back of the curtain. 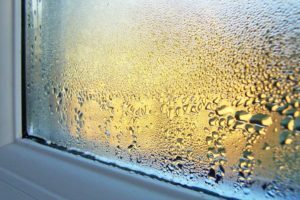 This creates more condensation and can lead to mould growth and future damage such as window frames rotting, and the expensive repairs that will go along with it. Considering the minor noise reduction benefits and the notable expense of noise reducing curtains, they are often not worth the investment. You’d be better off putting the same amount of money towards double glazing so you could enjoy a noise-proof acoustic haven without the downsides of thermal curtains. As a bonus, you’ll be able to pick your top choice of curtains because they look good in your home, not because you need them to drown out sound. The more material you can put between the source of your noise pollution and the indoors, the better acoustic performance you’ll have. Installing any type of blind will help to reduce noise. 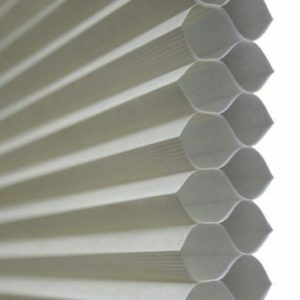 Special honeycomb cell shades are the best type of blinds for soundproofing. Their honeycomb construction allows them to trap more air to prevent it from coming inside. For even more acoustic benefits, choose ones that have double cells. Timber window shutters and insulating blinds also make decent noise reducing window treatments. Because wood is porous, it is a good material for dampening sound. Insulating blinds are made from a thicker fabric, which means they’ll do a better job of blocking out sound. You can help to soundproof your windows simply by placing the right furnishings near your windows. This DIY trick won’t make a noticeable difference alone, but it can help to enhance the noise reducing benefits of your other window treatments. Place a thick, heavy rug next to your window to absorb some of the sound waves. You can also place a heavy couch, chair or other furniture near the window. The thick, heavy materials will capture some of those obnoxious sound waves and help to reduce the vibratory impact of outside noise. Before you go out and buy your DIY soundproofing materials, there are a few things you want to consider. The type of sound you are trying to block out makes a difference. A soundproofing professional, such as window installers or other specialists, can help you create a plan that will work for your home or building based on the type of noise you are dealing with. 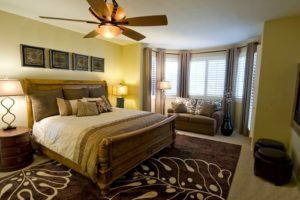 The last thing you want to do is spend hundreds or thousands of dollars on noise reducing curtains or struggle through installing a piece of glass or acrylic on your window, only to find out it’s not going to make much of a difference because of the intensity or quantity of your noise pollution. Your walls and doors could also be behind your noise issues. You could cover your windows with every DIY solution there is, but still have a problem because sound is travelling through your walls. Keep this in mind when creating an effective and efficient plan for soundproofing your home or building. Pay attention to the pros and cons of each DIY solution. Consider if it is worth dealing with unattractive windows, mould growth or a cumbersome window treatment, to get a small reduction in sound. One of the traits that all DIY solutions have in common is that none are incredibly effective. While cheaper, none of these options, or even a combination, will come close to the soundproofing benefits of double glazing with laminated or acoustic grade glass. The noise reduction impact of forcing sound waves to travel through two thick, specially treated glass panes, as well as the gap filled with inert gas, is tremendous when compared to your DIY options. Don’t assume you can’t get great acoustics without having to spend thousands of dollars on double glazing. Retrofit double glazing is a fraction of the cost of new double glazed windows – and you’ll get to retain the original character of your existing timber windows with the addition of a full drainage system in the process. When you take a real look at pricing, DIY window soundproofing options may not be as cost-effective as they first appear. Acoustic caulking, window foam or even putting weatherproofing tape around all your windows will probably cost less than $20 per window, but you may not notice the difference and you certainly won’t appreciate the aesthetics in your cosy living room or designer kitchen. 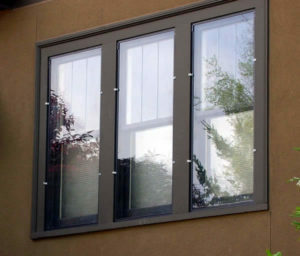 A DIY secondary glaze, storm windows and noise reducing window treatments like specialised curtains and blinds will easily cost you hundreds of dollars. Depending on how many windows you have to soundproof, you may end up spending a thousand or more, without getting the results you’re after. Where new double glazed windows will cost in the tens of thousands of dollars range, retrofit double glazing can be done for one third of the cost of new double glazed windows, with greater benefits to soundproof – and insulate – an entire home with beautifully converted windows. Considering the money you’ll save on lower energy costs and the boosted property value you’ll get with double glazing, you can see where you may save more overall if you put the one or two thousand you were going to invest in DIY window treatments into a quality, professional retrofit double glazing system. There are so many factors that go into successful window soundproofing from choosing the right materials to ensuring you don’t create more problems than you are solving. Don’t lose money because you make a common DIY mistake or overpay for an expensive solution. Download the free guide below and learn the facts about effective, affordable noise reduction.